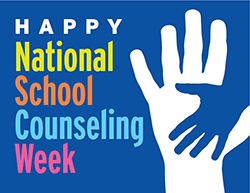 National School Counseling Week kicks off on Monday. The annual five-day event, sponsored by the American School Counselor Association (ASCA), celebrates the many ways counselors make a difference in the lives of students. Online contests and local events are scheduled across the country, making it the perfect time to highlight the profession we love. This year’s theme is “School Counselors: Providing Lessons for Life.” Photo and video challenges are planned throughout the week. NACAC will be posting stories on the Admitted blog from members about their experiences as school counselors, why they love this work, and what they hope students have learned from them. 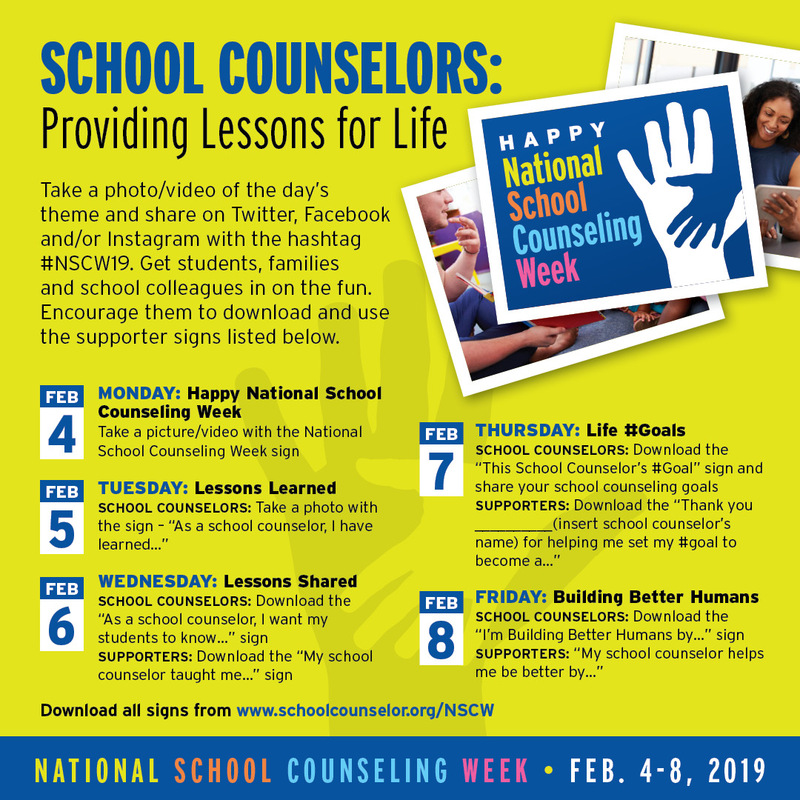 Learn more about the week and follow along with the festivities on social media using the hashtag #NSCW19.